About the book: Laura Blackwood is a divorced mother of a preteen, 12-year-old Beth, both living in a house outside of Cambridge, England where Laura is a university researcher. Though Beth is asthmatic, they live in the fens - low marshland that has been drained but which sits on surface water, is almost always soggy, and easily flooded. Laura is called on by a social welfare worker to take in a roomer, 17-year-old Willow, who is a ward of the state, so to speak, with specific problems of her own. How Laura copes with two somewhat unpredictable young people, one physically and the other emotionally, in a physical environment that is also unpredictable, is the main theme of the novel, as I see it. My comments: The book is set in the fens in Eastern England, an area that's not familiar to me, so the setting of the book, in a house above a dike or ditch with deep water, and on wetland reclaimed from marsh, is part of the intrigue of the book. There is danger all around for Laura, and I became invested in the outcome of her story. Her daughter is asthmatic, which means the wet fens is not an ideal place for them to live. The house is also on the outskirts of Cambridge, relatively isolated. Her daughter Beth has to be driven to or from school or has to take the bus and return home after dark in winter, walking a good way alone from the bus stop to the house. On top of that, their new boarder or roomer, Willow, is an unknown teenager who had to be taken from her mother and placed in foster care while she was growing up. Now seventeen, Willow rents from Laura a former pump house which has been made into a separate and independent apartment below the house. There is heavy rain, flooding during the course of the novel. 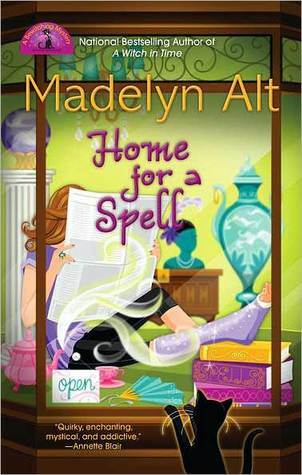 Willow's former life comes back to haunt her, or haunt Laura, the adult in the home. So many things happen, including tensions between Laura and her ex-husband, Beth's father, who has a second wife and three young sons. Beth also demands more independence from her parents as she heads towards her teenage years. I began to really care about Laura and how she would handle and cope with the different situations that crop up, some of them pretty dangerous. I soon began to worry about Beth and Willow as well and thank heaven for the help of Willow's social worker, Vince. The mark of good writing - the reader begins to really care about the characters, as if they were real and as if they know them personally. With good descriptions of place, people, personalities, and social situations, I found the book very engaging and almost didn't want it to end. That's maybe why I thought the book ended a little abruptly, and felt readers needed more time to see how the four people would adapt to the outcome. Otherwise, an excellent book that I highly recommend. The Olympic Games are about so much more than sports. In ancient times, the Olympics were a chance for the Greek city-states to work out their aggressions and politics in a relatively friendly environment. The athletes, spectators, and VIPs would descend on Olympia for merry-making and diplomacy, even in the midst of war. These days, the Olympic cities get just as much attention as the sports. Beijing 2008 was all about making an impression. China, the closed, mysterious country that had been experiencing rapid economic growth, was finally ready to welcome the world. The coordination in Beijing was impeccable. From the performances to the infrastructure to the facilities, every aspect of the spectacle demonstrated a total commitment to making this the most impressive Olympics in history. But I went to China expecting to be impressed by the organization. The thing I didn’t expect was the people. The Chinese people we met were almost frenzied in their enthusiasm for the Games. Everyone oozed pride at the chance to show off their country. From an average spectator’s perspective, the crowds were the real heroes of the Games. We watched their exuberant support spur their athletes to win dozens of gold medals. We encountered vigorous greetings from the volunteers, salespeople, and ordinary folks on the streets and in the stands. TV coverage of the sports and the drama couldn’t possible convey the energy that we felt every day from the people around us. That’s why I wanted to tell this story. 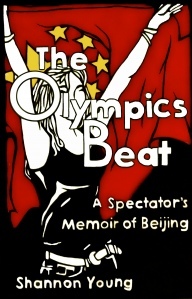 The story of the Beijing Olympics is about so much more than politics and medals. It’s about passion and discovery and chasing dreams. It’s about the optimistic attitude of one nation that, no matter what has happened in the past, the future is full of potential. The drama, the variety, the spectacle - Shannon can't get enough of it. She is an American student who has always been fascinated by the Olympic Games; her father has a lifelong love affair with China. They team up for the Beijing games and the adventure of a lifetime. Without the filter of a small screen, Shannon and her dad are hypnotized by the passion of a great nation unveiling itself to the world. This mini travel memoir is a picture of a new China and the experiences that would change one American girl's life forever. You can visit Shannon’s website for original photos from Beijing illustrating each chapter of this story. "Humans evolved to crave story. This craving has, on the whole, been a good thing for us. Stories give us pleasure and instruction. They simulate worlds so we can live better in this one. They help bind us into communities and define us as cultures. Stories have been a great boon to our species. 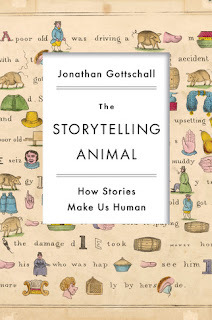 Whether or not you believe that fiction and storytelling make us better able to live our lives, this book on why we make up or listen to stories is thought-provoking. I grew up listening to African-Jamaican folk tales that people passed down or made up/added to as time passed. The spider Anancy was one of the crafty characters of these stories; he was the clever trickster that made himself a winner in every situation, in spite of his size. I loved stories and listened to them every chance I got. Now I read novels. The author tells us that we make up and listen to stories whether we are fiction readers or writers or not. Our daydreams, our dreams, the video games we play, the movies we watch, even memoirs, spin stories through our heads and we can't escape them. The danger is overload with "junk stories." The book urges us to read fiction, watch it, revel in its power, daydream, urge your children to read, but beware of going over the top. One of the chapters is titled, "Ink People Change the World." Do you agree? The book has about 28 pages of supportive notes and bibliography, lest you doubt what the author/researcher has to say. There are also 15 pages of index, in fine print. In other words, the book is well researched and footnoted. 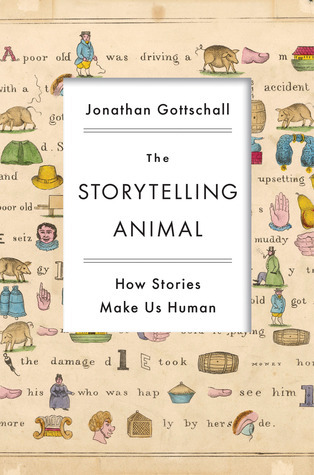 Whether you agree with all he says about the power of story is the challenge. All writers of fiction will love this book. for more reviews of this book. Thanks to TLC and the author for a complimentary review copy. Lucky for me, offices don't come cooler. Badass Games had hatched in a humongous industrial former storage building near the water in Dumbo, Brooklyn, when its only product was the blockbuster Pimps N' Ho's, Volume 1. A video game junkie since childhood, I was teased mercilessly by my sister Kira for years until she realized I possessed a skill set that made the boys want to hang with us. We always had the latest state-of-the-art consoles, and our house was the go-to hangout place after school for all our friends, who enjoyed procrastinating, scarfing down my famous nachos - a daily trashtastic concoction of chips, cheese, and mushrooms -and the sweet-defeat of being trampled by me in game after game of Nintendo. HAZEL, YOU ARE THE WINNER! 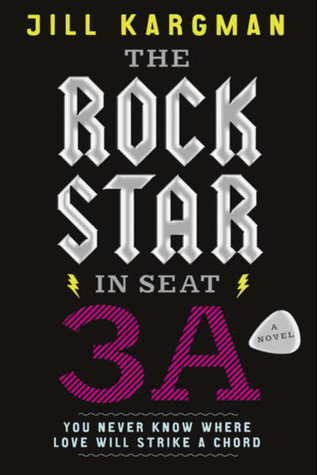 Here's what Goodreads has to say about the book: "A lively novel about a down-to-earth New York City girl who suddenly finds herself in a rock 'n' roll Cinderella fantasy. This is a fairy-tale romance with a twist. " The opening reminds me of my kids growing up with video games and with certain expectations from life! I received this as a free review book. 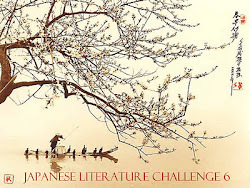 The Japanese Literature Challenge is once again hosted by Dolce Bellezza at Japanese Literature Challenge 6. She has a few book suggestions as well, including one I really want to read - The Thief by F. Nakamura. The challenge is to read one or more books by Japanese writers over six months. Click on the link to join in and be added to the linky. Opening sentences in a book can give readers a sense of the style of writing and can influence their decision on whether or not to read a book. Here are the beginning sentences for Cat in a Vegas Gold Vendetta, a mystery featuring the cat Midnight Louie, by Carole Nelson Douglas. Temple's fingers were doing the flamenco across her laptop keyboard, writing an e-mail press release, with Midnight Louie, her twenty-pound black cat, playing his usual role of paperweight beside her, when her phone rang. Midnight Louie growled in alarm and rose up on his forelegs. 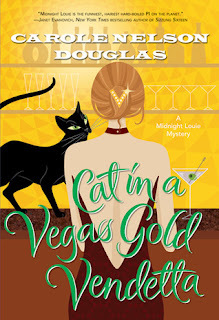 I'm getting used to the idea of a cat being a sleuth, so I will be reading this book and hoping it will get me interested in the previous Midnight Louie mysteries. After all, this is the 23rd in the series!! I also think I may have won this book as it has been hiding on my shelves, waiting like a cat to pounce, to get my attention. "Madame," he said in heavily accented English, his voice low and guttural. Clare Moorhouse, the American wife of a high-ranking diplomat in Paris, is arranging an official dinner crucial to her husband's career. 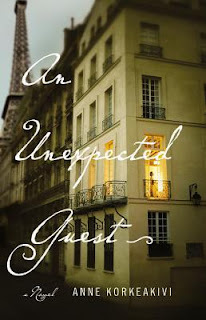 As she shops for fresh stalks of asparagus and works out the menu and seating arrangements, her day is complicated by the unexpected arrival of her son and a random encounter with a Turkish man, whom she discovers is a suspected terrorist. More unnerving is a recurring face in the crowd, one that belonged to another, darker era of her life. One she never expected to see again. I received this book as a complimentary review copy. The irises in my backyard in full bloom right now. There is one yellow one that will soon open and I'm looking for the single blue one that sometimes shows up. I told him what I did for a living, and he seemed genuinely interested. He gave a little chuckle when I said I wrote the music nobody listens to. "That must be hard to take sometimes," he said. "No matter how much they pay you." 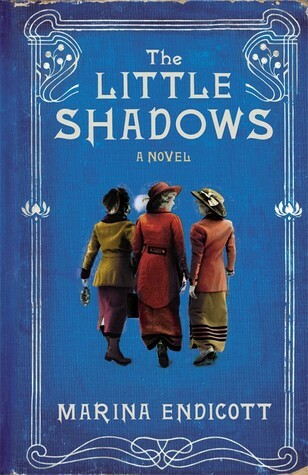 Book description: New York Times best selling author of the Inspector Banks series. 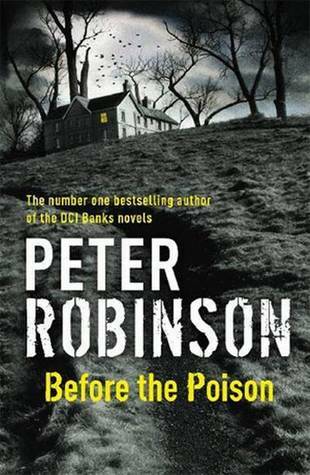 A stand-alone novel in which a man's obsession with a decades-old crime leads him down a dark and winding path. I received this book as a complimentary review/feature copy. Opening sentences of a book can give a taste of the writer's style, a sense of the story. 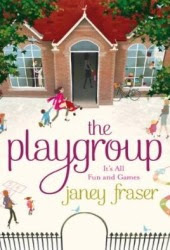 Here are the beginning sentences for The Playgroup, a novel about a daycare, the Puddleducks Playgroup, by British author, Janey Fraser. It's the start of a new term at Puddleducks Playgroup. For Gemma Merryfield it'll be her first year in charge. Watching the new arrivals, she can already tell who the troublemakers will be, and not all of them are children! What Gemma doesn't realise, thought, is that former banker Joe Balls, now head of Reception at the neighbouring school, will be watching her very move. As far as he's concerned, Puddleducks puts too much emphasis on fun and games, and not enough on numbers. But when one of the children falls dangerously ill and another disappears, Gemma and Joe have to set aside their differences and work together. (publisher's description). A good book for those with kids in daycare? This book is a complimentary review copy. Craig Page—a daring and resourceful former CIA agent, now fighting terrorism in Europe—is determined to find out who killed his daughter, Francesca, a young American reporter about to publish an explosive story about a conspiracy of international proportions. Joined by the gutsy Elizabeth Crowder, Francesca’s editor, Craig peels back the conspiracy layer by layer. 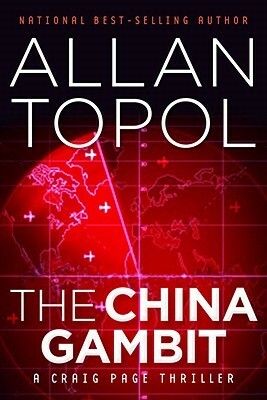 The action moves from Canada to Tehran, Beijing and Washington, and finally to Aspen, with Craig and Elizabeth narrowly escaping repeated attacks in their attempt to prevent a catastrophe for the United States. Craig must bury his personal loss, as he confronts his adversaries. (Publisher's description). I've been in a cozy-mystery reading mood lately. 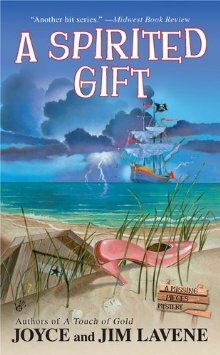 I finished Madelyn Alt's Home for a Spell, a Bewitching Mystery series, yesterday and am now in the middle of A Spirited Gift, a Missing Pieces Mystery by Joyce and Jim Lavene. Both books have an element of the paranormal to give the mystery stories a bit of spice. 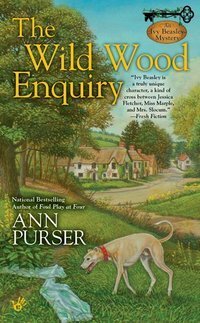 Next on my list will be The Wild Wood Enquiry by Ann Purser, one of the Ivy Beasley Mystery series. No spirits or witches here, I don't think. hope you don't lift a finger today, and be pampered! "The later editions of the Chinese newspapers reported Mr. Chen's death. The Taiwan-based paper declared that Communist agents had gotten to him. The Hong Kong-based rag lamented how unsafe Chinatown had become ever since those lowlifes from Fujian province started coming into the country." 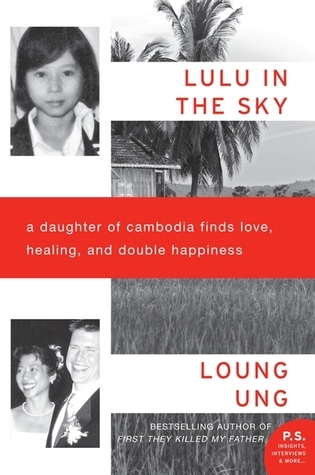 Lulu in the Sky is the third book in a trilogy memoir by Loung Ung, a refugee from war torn Cambodia who came to the U.S. as a child with her oldest brother and his wife, settling in Vermont. Now an adult who is dedicated to Cambodia's future and working to ban landmines all over the world, she finally married her college sweetheart Mark. This happened after many years of putting off her commitment to personal happiness - to deal with the memory of her parents' and sisters' death in Cambodia during the war and leaving behind part of her family when she left Cambodia. These experiences are the topic of the author's two previous memoirs, First They Killed My Father and Lucky Child. The two books detail the excesses of the Khmer Rouge in Cambodia, when millions of Cambodians were killed or executed, including Loung's parents and tells about the author's escape and arrival in America. In Lulu in the Sky, Loung tells us how she came to be reconciled with the past, to live in the present and continue into the future. I don't need anyone. Even as I whispered this to myself, I knew I was lying. "Why do you want to be with me when I'm such a mess?" I asked. "Because you're brave and passionate and tender; you're a child and a wise woman." "You're not broken. Not to me. Never to me." Loung exorcises the ghosts that haunt her by talking to a therapist, by writing about her experiences, and becoming an activist for international justice. She eventually finds happiness in her work and in her marriage to Mark. The author continues to give lectures around the country and to talk to book clubs and other groups about her experiences and her international work. Her memoir is very moving. The detail in her books and her extraordinary memory, her clear writing, makes this book and the first two a must for those who know about the brutal history of Cambodia and for those who want to know more. Loung Ung is an author, lecturer, and activist. She has advocated for equality, human rights, and justice in her native land and world wide for more than fifteen years. Ung lives in Cleveland, Ohio with her husband. For other tour stops and reviews of this book, visit Lulu in the Sky Book Tour, sponsored by TLC Book Tours. Thanks to TLC and the author, publisher, for a complimentary review copy of this book. Opening sentences of a book can give a taste of the writer's style, a sense of the story. Here are the beginning sentences for A Place of Secrets. The night before it begins, Jude has the dream again.She is stumbling through a dark forest, lost and crying for her mother. She always wakes before the end so she never knows whether she finds her, but it is very vivid. She feels the loamy earth, hears twigs crack under her feet and smells the rich, woody fragrances that are always strongest at night, when the trees are breathing. It's chilly. Brambles catch at her hair. And the panic, the despair, they're real enough as she claws her way to consciousness; she scrabbles for the light switch and lies waiting for her sobbing breaths and racing heart to slow. 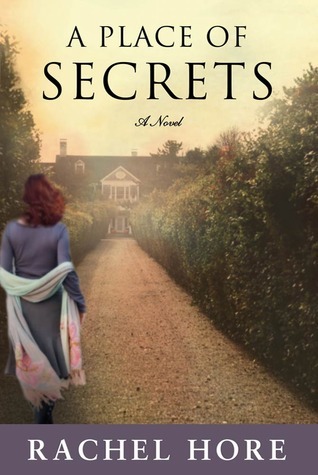 An historical mystery in the tradition of Kate Morton. Auction house appraiser Jude leaves London for her dream job at Starbrough Hall, an estate in the countryside, examining and pricing the manuscripts and instruments of an eighteenth-century astronomer. She is welcomed by Chantal Wickham and Jude feels close to the old woman at once: they have both lost their husbands. Hard times have forced the Wickham family to sell the astronomer's work, their land and with it, the timeworn tower that lies nearby. The tower was built as an observatory for astronomer Anthony Wickham and his daughter Esther, and it served as the setting for their most incredible discoveries. Though Jude is far away from her life in London, her arrival at Starbrough Hall brings a host of childhood memories. She meets Euan, a famed writer and naturalist who lives in the gamekeeper's cottage at the foot of the tower, where Jude's grandfather once lived. And a nightmare begins to haunt her six-year-old niece, the same nightmare Jude herself had years ago. Is it possible that the dreams are passed down from one generation to the next? What secrets does the tower hold? And will Jude unearth them before it's too late? Rachel Hore is the author of novels including The Glass Painter's Daughter and The Memory Garden. She worked in London publishing before moving to Norwich, where she teaches publishing at the University of East Anglia. She is married to the writer D. J. Taylor. Publisher's description:They say you never forget your first love . . .
Born under a sparkling crescent moon, Nelson is a bright-eyed, inquisitive half beagle, half poodle. He lives with Katey and Don, newlyweds whose marriage is straining under the pressures of domesticity, but Katey’s devotion to Nelson buoys the pup even as he worries his home may be falling apart. But there are few things Nelson likes better than to follow a scent, and one day he follows his nose and gets lost . . . very lost. Though he searches frantically for Katey—and she for him—Nelson can’t seem to find his way home, and he soon realizes that if he’s ever to see his great love again, he must make his way on his own and try to survive in the wild. Over the course of eight years, the book follows Nelson as he crosses the country searching for his family. For a time he rides shotgun with a truck driver named Thatcher, then he lives in the woods with a pack of wolves. A terrible accident takes his hind leg, but Nelson’s strength and longing to find Katey keep him alive. Escaping death in a shelter, Nelson grows into an old dog with a cynical eye and a world-weary demeanor, but underneath it all, a fearless and courageous spirit. After all, he believes that one day he’ll make it home . . . and maybe, just maybe, he will. . . .
Much more than the story of one dog’s incredible journey, this is a deeply moving story of survival and enduring love, which once again confirms the unbreakable bond between humans and their best friends. 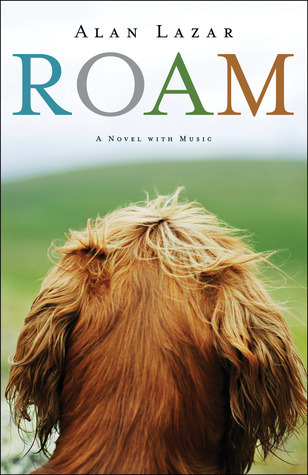 In the tradition of The Art of Racing in the Rain and The Story of Edgar Sawtelle, Roam is an unforgettable tale of love lost and found, the trials that test families, and an affirmation that no matter how far or how long you may travel, there’s always a place you can call home. About the book: This is the story of a 15-year-old Afghani girl who migrates to Portland, Oregon in the 1980s with her brothers, in the care of her traditional Pashtun uncles. Saima came from a tribe in Afghanistan with very strict rules regarding family and women's behavior. She rebelled against her uncles as she grew older, and after college at age 23, left their home to strike out on her own. In 2004, she signed up with a defense contractor as an interpreter in Afghanistan, and ever since has worked with the U.S. Armed Forces as the first female Pashtun-English interpreter, and later as a research consultant to the U.S. army in Afghanistan. 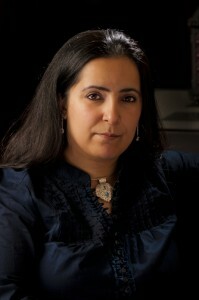 Her book covers two main areas: her personal life and struggles to integrate into U.S. society as an immigrant, and her fight for her individual freedom as a woman connected by family to a traditional tribal society. The other main area, and the one which takes up most of the book, is her commitment to better understanding and communication between the U.S. forces in Afghanistan and the people of Afghanistan. Saima's father was taken away from the village by the KGB and killed when she was age three. In 1979 she left Afghanistan at age six when the Russians invaded, and since coming to the U.S. at age 15, has returned to Afghanistan many times as an interpreter for the U.S. Armed Forces and in 2007 as research manager of the army's Human Terrain Team. Her job was to help the military tackle the language barrier and lack of knowledge of the region's history and to give crucial cultural recommendations. During her many trips to Afghanistan, she also reconnected with her extended family in her mother's village. Comments: I was amazed by Saima's bravery in breaking away from her uncles in Portland and becoming a virtual outcast from her family. Her unique gift and accomplishment as a fluent Pashtun-English translator made her valuable as an interpreter and cultural advisor. This has given her what she most wanted ever since childhood - freedom and independence as a woman in both her Afghani and American worlds, and she fights still to improve the lives of restricted Afghani women. The author talks about another important goal for working in Afghanistan. She wanted to find out what it was about the Afghanis that made her father give up his life for them. 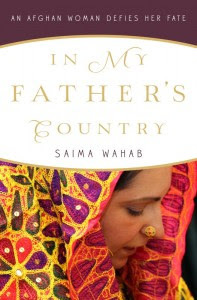 Another amazing thing about this book was how her writing made everything clear and easy to understand - Saima's personal life and goals, the differences in her ethnic culture and Western culture, the needs of the U.S. Armed Forces in Afghanistan to work successfully with the Afghanis. A compelling book on several levels, I recommend it to those interested in the fight of women in traditional societies for a better life and individual freedom and for those interested in the culture and politics of Aghanistan. SAIMA WAHAB is Afghan-born, fled to Pakistan as a refugee, and moved to the United States as a teenager. She is one of the only Pashtun-English female translators in the world and, among other consequent roles, has returned to Afghanistan to work as a cultural adviser with the U.S. Army. A former resident of Portland, OR, Saima now lives in the Washington D.C. area. For a list of all the book tour stops sponsored by TLC Book Tours, and other reviews of the book, visit TLC Book Tours: In My Father's Country blog tour. Thanks to TLC, the author, and the publisher for a complimentary review copy of the book. A swan on the river running through Stratford, Ontario, the home of the Stratford Shakespeare Festival in Canada. We attend a play or two at the festival almost every year on our way to or from Toronto. This picture was taken last year. 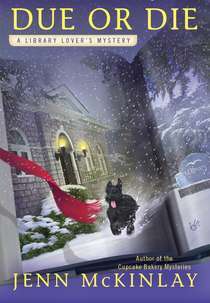 I love libraries, books, and dogs, so I did like Due or Die, the second in the mystery series featuring library director Lindsey Norris of Briar Creek, Connecticut. Lindsey has to deal with an envious and cantankerous library assistant while she tries to solve the murder of the husband of the newly elected president of the Friends of the Library. Carrie Rushton's husband has been shot and Carrie is the first suspect. Lindsey wonders if Bill Sint has anything to do with it, as Bill is the outgoing president of the Friends and extremely upset about being replaced by Carrie. As a nice subplot, a new character is introduced in the series. Heathcliff, a young dog, becomes Lindsey's new best friend and companion after being found abandoned and callously stuffed in the library's book chute. With the help of her admirer Sully and friend Nancy, Lindsey solves the murder even though she risks her life doing it. She is almost run over while biking home on the snowy roads and escapes freezing to death after being locked in an unheated storehouse. Comments: I liked the book, got through it in record time as it was well written and easy to read. I found it had a lot of padding though, so I was able to skip through it without missing the key ingredients or the subplots in the story. 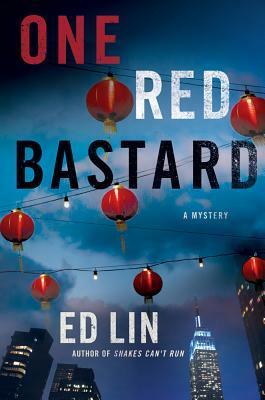 I gave it a 3.5/5 as a good mystery read. 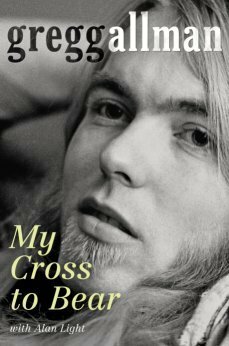 Book description: For the first time, rock icon Gregg Allman, one of the founding members of The Allman Brothers Band, tells the story of his career, opening up about his long struggle with substance abuse, the tragic death of his brother and life in one of rock music's most legendary bands. Capturing the Allman Brothers' ongoing resurgence, the book includes over one hundred photos from throughout the band’s history and offers a glimpse inside one of the most popular and notorious bands in the history of rock music. I peered closely at the ring. "This is where I need Holmes's magnifying glass," I said. "Or Wilde's eagle eye," my friend countered. "Do you not see a shape in the scratch marks?" Screwing up my eyes, I saw something. "The outline of a key?" I suggested. 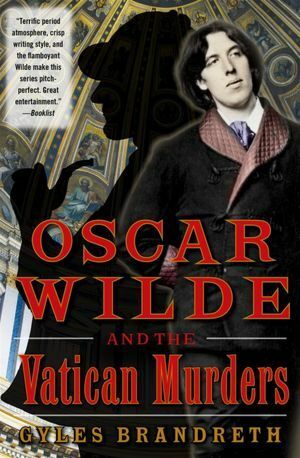 Book description: Oscar Wilde returns in the historical mystery series, featuring Wilde as the detective aided by his friend Sir Arthur Conan Doyle. In 1892 Arthur Conan Doyle, exhausted by his creation Sherlock Holmes, retires to the spa at Bad Homburg. The first person he encounters is Oscar Wilde, and when the two friends make a series of macabre discoveries amongst the fan mail Conan Doyle has brought to answer - a severed finger, a lock of hair and finally an entire severed hand - the game is once more afoot. Author Gyles Brandreth is a well known BBC broadcaster, theatre producer, novelist, biographer. He has written books on Britain’s royal family and a diary of his years as a member of Parliament. 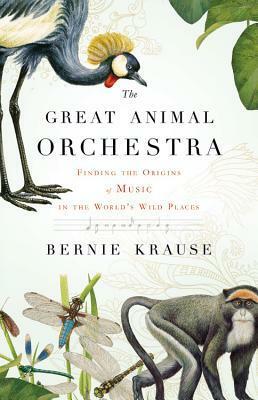 Thanks to the publisher for a complimentary copy of this book for feature/review.